Gowlaun Bed & Breakfast offers its visitors a beautiful hilltop view of the surrounding countryside. The breakfast menu consists of fresh fruit, cheese, yoghurt, scrambled eggs and of course the traditional Irish breakfast. We also serve homemade brown bread and scones. All eggs used in the baking and cooking are free range and from our own poultry farm. We can guarantee you a wholesome breakfast. The Burren covers a large area in the west of Ireland and it has lots to offer visitors from underground rivers, caves and a huge range of wild life and plants. There are also historical sights to be seen like castles, cathedrals, monastic settlements and much much more. Coming from Ennistymon or Ballyvaughan side take the road down by the Ritz pub. We are the 1st house on the left hand side after holiday homes. 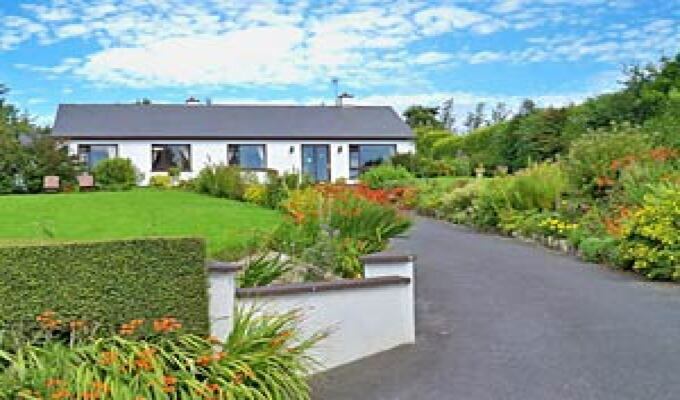 We are just 1-hour drive from Galway City and Shannon Airport.